Conventional. All construction takes place on site. Modular. Modular construction is when a building is constructed off-site and shipped from the construction site (factory) to the location where it is to be used. Before shipment of the building, the foundation for it is laid, and all utilities are run to the site. The manufacturer then completes fabrication of the building on-site. If this mode of construction is used, the manufacturer must be given all the specifications for the dental equipment, including brands of equipment, so that the structure can be built to accommodate the selected equipment. If a crawl space is planned, reinforced floors should be used. Addition to existing structure. Space is added to a building to allow for clinic expansion. Remodeling an existing structure. Existing space is modified to allow for a dental clinic or to expand an existing dental clinic. Are there any natural faults or buried structures that would make the property unsuitable as a construction site? Are natural gas and electric lines available? If you have selected an existing structure, does it offer space for expansion? And for future expansion? Can the floor plan be economically converted to the layout needed for a dental clinic? 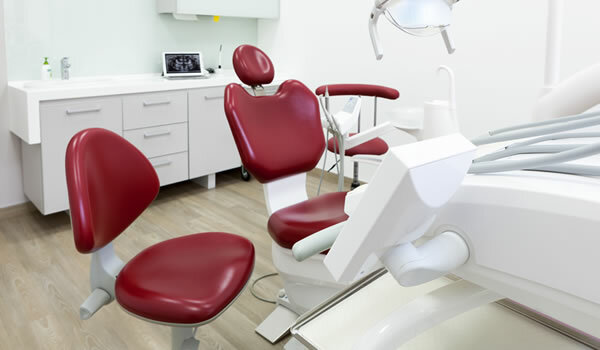 Before remodeling an existing structure, the builder should confirm that the structure can be modified to meet these standards as well as provide the space needed for a functional dental clinic. Keep in mind that there are a lot of utilities with specific locations in a dental clinic. This will require at least a crawl space to run the wiring and pipes that are needed for the dental unit. If the building is on a concrete slab, trenches will have to be cut in the floor, or a false floor will need to be placed. A false floor is best, as this gives access to the utility lines in the event that repairs need to be made. Visit dental clinics. Don't rule out any possibilities, including military installations and Veteran’s Administration hospitals, if they are nearby. Contact people who have experience in building new facilities, especially those who have recently planned construction of a new clinic. Use the toll-free numbers of equipment manufacturers to get advice regarding facility requirements for the equipment that you intend to place in the clinic. Get one or more oral health professionals actively involved in the project. Most construction projects have a better result if a dentist and other oral health staff at the facility have direct input at the design stage. If an architect or company representative has made an obvious error, such as forgetting to include a sink in the lab, staff should be able to detect the error before construction begins, keeping in mind patient flow. Since requirements vary from state to state, check your state’s regulatory requirements for construction of outpatient clinics. Although these specifications are from a 1990s scope of work, they provide a meticulous level of detail.